Photo courtesy of USDA NRCS. For years now, complaints about the stench and pollution seeping from the state’s factory hog farms have lingered. In the courts and in the press, residents living with the mess and their advocates have traded barbs with industry and local leaders about failed oversight and influence in the legislature. But now environmental groups have stepped in and, in a precedent-setting complaint filed last week with the Environmental Protection Agency, allege that the state’s lax regulation of hog waste disposal discriminates against communities of color in eastern North Carolina. 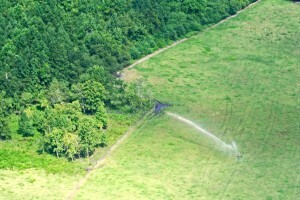 “This is the first time that communities hard hit by the concentration of these animal feeding operations, particularly low income communities of color, have appealed to the federal government to come in and enforce civil rights law in this context,” Marianne Engelman Lado, an attorney with the environmental advocacy group Earthjustice, said. Earthjustice filed the complaint against the North Carolina Department of Environment and Natural Resources, alleging discrimination under Title VI of the Civil Rights Act of 1964, on behalf of North Carolina Environmental Justice Network, Rural Empowerment Association for Community Help and Waterkeeper Alliance. The groups contend that DENR recently issued a new general operating permit for hog farms that fails to protect human health and the environment and allows those facilities to continue to pollute water and air, with a disproportionate impact on low income minorities who live nearby. 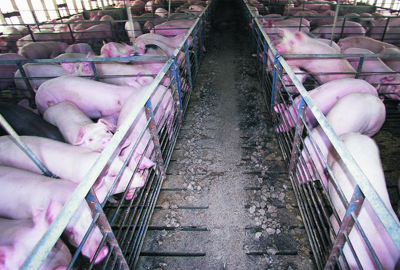 The civil rights complaint comes at a time when hundreds of affected residents have also taken their claims against pork-producing giant Smithfield Foods, Inc. and its hog farm managing company Murphy-Brown LLC to federal court. The companies and their local supporters are digging their heels in in response to those lawsuits, vowing to fight efforts to rein in their operations. And area lawmakers have likewise cast the cases as an attack on their communities’ livelihood and have taken steps in the legislature to stifle any additional oversight. In the civil rights filing, the groups allege that DENR continues to allow hog farms to use outdated and unregulated waste management systems that pollute the air and water in surrounding low-income and minority-populated neighborhoods. facilities generate a staggering amount of waste that wreaks havoc on the health and well-being of neighboring communities and the environment. 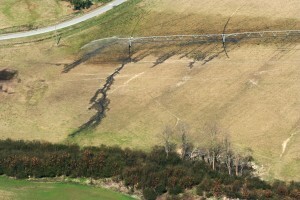 Under the permit, these facilities can continue to store urine and feces in open-air cesspools, called lagoons, before spraying the waste on fields with high volume spreaders. At all steps of this so-called waste management system, waste from the facilities can pollute the air and water and injure human health. 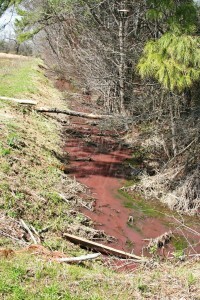 Citing an August 2014 report from professors at the University of North Carolina Chapel Hill, the groups contend that this method of hog waste disposal, permitted by DENR, disproportionately impacts low income neighborhoods of color. They also allege that DENR has long overlooked this impact and ignored pleas for tighter regulations, most recently approving a permit that allows hog farms to continue disposing of waste in this fashion. The groups are asking the EPA to investigate DENR’s actions and inactions and call the state agency to task. Although federal funding can be at risk, ultimately the hope is that EPA involvement will lead to action by DENR, she added. The civil rights complaint comes on the heels of citizen complaints filed in August in federal court against Murphy-Brown, the company that manages hog farm production for Smithfield Foods, Inc. Smithfield Foods is a self-proclaimed global leader in producing and processing pork. 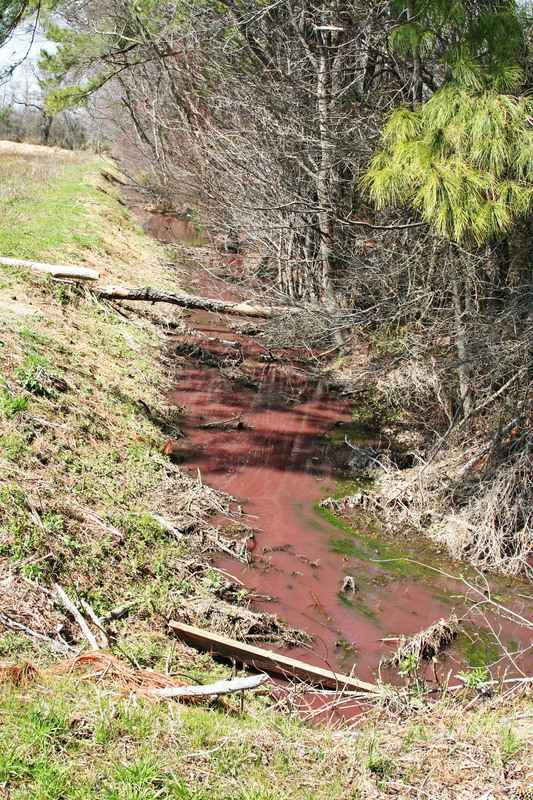 In the seven recently-filed federal lawsuits, residents from Bladen, Duplin, Pender, Sampson and Wilson counties contend that Murphy-Brown has failed to manage its hog production and waste disposal and has allowed ongoing water and air pollution in their communities. The residents are seeking damages as well as court-ordered changes to the company’s management of hog waste – including its use of outdated “lagoon and sprayfield” systems. The complaints — a reprise of several similar ones previously filed in state court in July 2013 – touched a sore spot in several eastern North Carolina communities then. Local leaders last summer called them “an attack” on their way of life. Company and local leaders have cast the lawsuits as an attack not only on the industry giant Smithfield Foods or its managing company Murphy-Brown but on the local farmers as well. That’s a characterization which Mona Lisa Wallace, an attorney representing the residents suing Murphy-Brown, disputes. Among those attending the August 2013 community meeting in Sampson County were state lawmakers from eastern North Carolina, many who have been fierce defenders of hog industry practices there. They included Rep. William Brisson, who told the audience that the lawsuits had nothing to do with hogs. But that siege mentality along with actions in the legislature lends credence to suspicions that lawmakers’ close ties to the hog farm industry has fostered lax oversight. Just this past session, for example, area lawmakers proposed a bill that would have kept locations and photographs of piles of dead pigs confidential. Their impetus for the bill was the alleged misuse of such information by environmental groups. But the real intent, according to Duke Law School professors in this editorial, was to shield the hog farm industry from public scrutiny and potential liability arising from piles of dead pigs that have succumbed to a highly contagious virus. That bill ultimately did not pass, but another, House bill 366 – which allows complaints about agricultural pollution to remain confidential unless and until DENR decides to take action – did. That’s a setback not only for open government but also for strengthening regulatory enforcement in the hog farm industry, according to Rick Dove, Neuse Riverkeeper Emeritus. The problem with that is most often legitimate complaints of citizens do not end up in enforcement. Instead, violators are given a simple warning. In many cases, notices of violations are not issued, on the “promise” of the violator to do better in the future. There are also many instances where complaints are not immediately investigated and can’t be verified when inspectors show up days later. Good examples of this include untimely response to odor complaints, discharges of swine waste to public waters and use of prohibited methods of disposal of dead swine. Just because a citation of some kind wasn’t issued, it doesn’t mean the complaint wasn’t legitimate. To read the Earthjustice civil rights complaint, click here. To read one of the residents’ federal court complaints, click here. Sharon McCloskey, former Courts, Law and Democracy Reporter for N.C. Policy Watch, writes about the courts and decisions that impact North Carolina residents. McCloskey also wrote for Lawyers Weekly and practiced law for more than 20 years. Follow her online at sharonmccloskey.com or @sharonmccloskey.